Games Like Habbo Hotel: Virtual Games '+g+"
Check this list of recommendations for virtual world games like Habbo Hotel which offer similar virtual world experience where the users can explore, chat and make new friends. 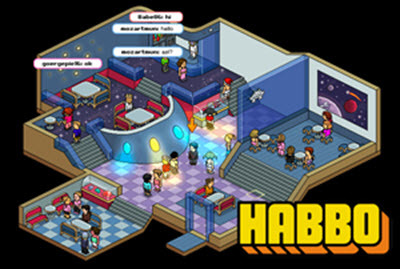 Habbo Hotel is a social game and virtual community for teenagers where they can meet and make friends, chat with them, play mini games, design rooms and do much more by creating a fully customizable online character called a Habbo. Don't forget to mention if we miss any games similar to Habbo Hotel as we keep on updating this list. Second Life is an online virtual world developed by Linden Lab where you can explore, interact and create your own world. Experience endless surprises and unexpected delights in a world imagined and created by people like you. Visit Official website Here. SmallWorlds is a unique and rich virtual world game for teens that can integrate with Web 2.0 services such as YouTube, Flickr, SoundCloud etc,. The players can create their world, customize rooms, play games, watch YouTube videos, browse Flickr photos, grow exotic plants and much more to have an endless supply of fun.Visit Official website Here. Woozworld is an exciting, fun, and unique virtual world and social network for tween and teens. Here you can Create an avatar, your own look, design your place, set new trends, throw amazing parties and games, compete in awesome contests, even run your own business. Visit Official website Here. ActiveWorlds,.....if you can think of more, then don't forget to mention it in comments.